Thật of Gạo Hạt Ngọc Trời An Giang took the lead with a time of 48.07sec and average speed of 37.409kmph in the 30km stage around Gia Nghĩa Town in Đăk Nông Province. 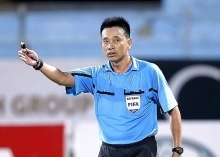 Thật also seized the green jersey as the best sprinter with 22 points, followed by Kim Hyunji of South Korea with 14 points. 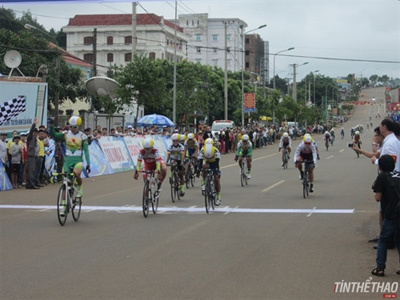 Today, cyclists will continue on to second 122km stage from Gia Nghĩa to Đồng Xoài Town. The 532km tour attracted the participation of 13 domestic and foreign teams, including South Korea’s Seoul cycling team, Indonesia’s customs cycling club, and a team from Thailand. The event will run until July 15./.